Do you love the people you work with enough to go on vacation together? Well, I am lucky enough to answer yes to that question! The day after school got out, all the first and second grade teachers ventured to California to get on a cruise! 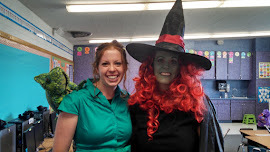 We may have acted more like our students than our professional selves, but it was a blast! The first day off the boat was my birthday, and it was one for the books! I got to go parasailing, paddle boating, dress up, take pictures, eat lobster, laugh until I cried, and my teacher friends surprised me with a chocolate cake. I was pretty spoiled to say the least! The second day off the boat was an interesting experience. I have never been to another country and we got off in Ensenada, Mexico. When we got off to explore this city I was a bit shocked. We saw so much poverty and hardship. It broke my heart, but made me grateful I live in the United States. In Ensenada we had the option of doing an exploration to "The Blow Hole," the flea market, and riding horses on the beach. As glamorous as all of that sounds, it was an...interesting day, for lack of better words. The ocean views were gorgeous, but I learned that I am a hard bargainer. One of the vendors asked me what my name was and where I was from because apparently I drove a hard bargain. Riding horses on the beach was the most bizarre part. We pulled up to a shack, which was heart breaking, and got on the horses, ready to ride. To give you an idea of the bizarre part, we were followed by a garbage truck, passed more shambles of homes, and random dogs and chickens. It wasn't necessarily what we had in mind, but when will we be able to say we rode horses on the beach again? The third day we spent on the boat laying around and reading. The night before we did karaoke and danced until way later than our usual bedtimes, so it was a nice change of pace to rest and relax. On a side note, I included a video of us singing because it is a riot, and no we were not intoxicated. Living in small quarters with five ladies may not sound like fun, but we managed quite well and had the time of our lives! 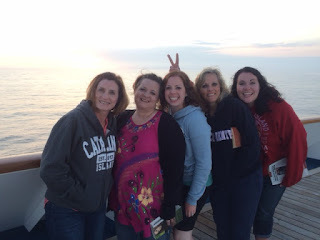 I am sooo grateful to work somewhere where I have life long friends who I would vacation with anytime! Happy Summer!